So... your daughter/ daughter in law/ sister/ best friend/ niece or some lucky lady in your life is getting married and she's going to need a lot of support. You think you are fit for the job? 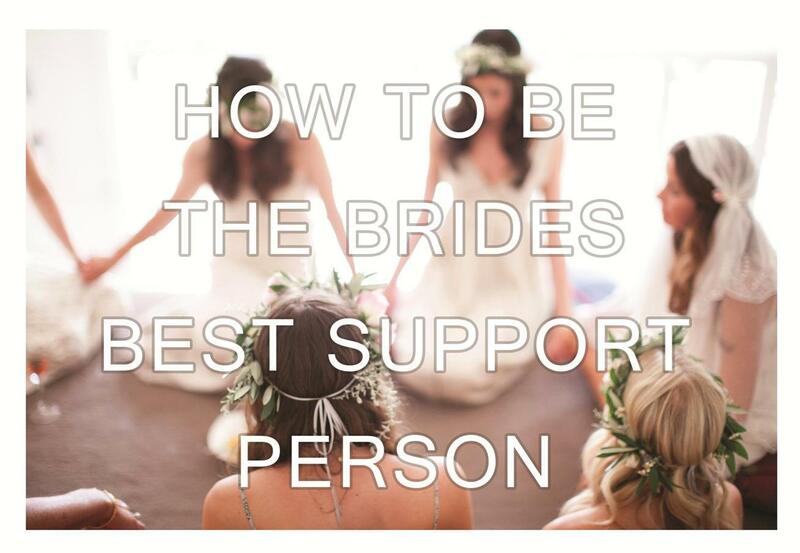 Let's make sure with our 3 must haves to being the Bride's best support person. One of the biggest jobs when being the Brides best supporter is to be there to tie favour bags, write invitations and if you're lucky... test cake! You need to make yourself available to do some of the more menial tasks and check in to see what else needs doing or organising. She is going to have everyone's opinion thrown at her and hey don't feel like you can't join in but more in a 'hey what about...' instead of 'you really have to...' way. She's going to need a sounding board, someone who will be honest, helpful and that knows when to accept the Brides wishes even when they differ their own. It's an emotional time so give the Bride a little breathing room every now and then, understand that she has a lot on her plate and may need a little of that emotional support also. Especially if she has a few not so supportive people around. Take her out, have a break from the wedding planning and remind her of the life that is still happening in and around that wedding planning bubble she is living in.